A few months ago we came home from Tomnah'a Market Garden with a box full of beetroot. We searched for new recipes and came across an interesting chutney recipe. We tried it immediately. The next day we were invited our friend Alison and took a jar for her to try. Alison was so excited that she offered to take some jars to the Farmers market and sell them for us there. She works in a small farm shop in Alyth on Wednesdays; so we were also able to offer our products there. During the summer we expanded our offerings with pestos, pickles and marmalades. 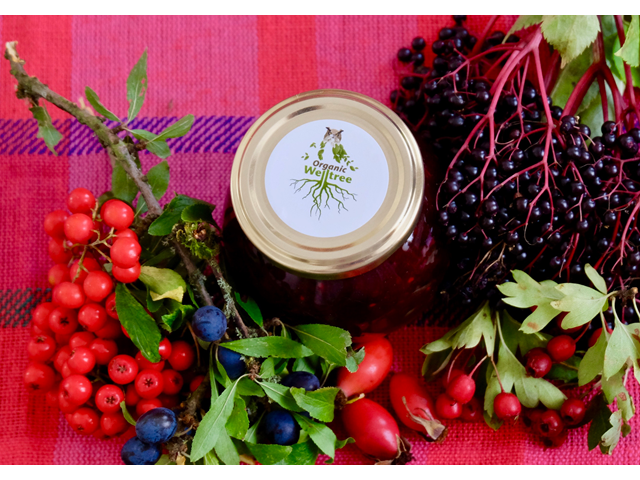 Last week, we completed our flyer and we regularly sell a few jars to friends in Glasgow. Today we were on the market in Comrie, in October we are in Crieff and we are also represented at an apple festival in the Comrie Community Orchard. Slowly we are preparing ourselves for the Christmas season and will be present at some Christmas markets. An online shop will also be available soon. At the moment we are experimenting with pralines, chocolate, biscuits and cakes.